Actor in stage, film, and television -- via the Hollywood Reporter. 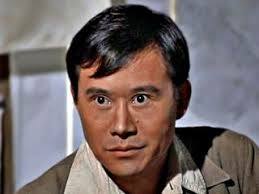 Instantly recognizable from his many appearances in film and TV, Oh had trouble getting away from the Asian stereotyping that plagued Hollywood. He was an integral part of the original cast of Sondheim's overlooked Broadway musical Pacific Overtures.